Provide comfort for the family of Nancy Emhart with a meaningful gesture of sympathy. 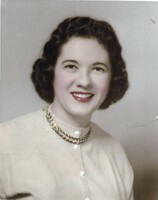 Ms. Nancy Joan Emhart, age 83 of Foxtrot Lane, Hartwell, Ga. passed peacefully on January 10, 2019 at her home. She was born on September 21, 1935 in Philadelphia, PA to the late Harry George Emhart and Clara Cecelia Scheck Emhart. She retired in Atlanta as a trainer in the IT field. Nancy moved to Hartwell in 2000 and immediately became involved in her new community and in Sacred Heart of Jesus Catholic Church. She served her church in many capacities including Director of Music. She filled her retirement days with music, golf, gardening, boating, fine dining, and travel. She was so happy to share her life and talents with her family, her church family and her family of friends. 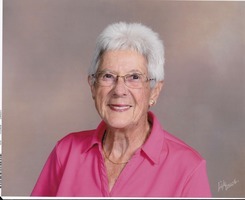 A celebration of her life will be held on Saturday, February 2, 2019 at 12:00 noon at Sacred Heart of Jesus Catholic Church with Father Rafael Castano officiating. Burial will be in the memorial garden of Sacred Heart. Please omit flowers and make donations to St. Vincent de Paul Society, 1009 Benson Street, Hartwell, Ga. 30643 or Northeast Georgia Animal Shelter, 870 Bear Creek Road, Lavonia, GA. 30553. Coile and Hall Funeral Directors, 333 E. Johnson Street in Hartwell will be serving the family of Nancy Emhart. To send flowers in memory of Nancy Joan Emhart, please visit our Heartfelt Sympathies Store. Susan & Gary Godfrey and Ann & Bobby Hughes sent flowers to the family of Nancy Joan Emhart. Nacey was such a sweet Lady, always smiling with such kind words to say! You will be missed!! Nance was a very special friend and loved by so many. She will be missed by all of us. Dear friends for 27 years and countless memories that I can reflect on daily. Heaven gained a Special Angel and like Fran said a phenomenal Choir Director. Nance was amazing when directing the choir. Nance loved music and it showed. Thank you for being one of my favorite friends. I love you and will miss you very much.